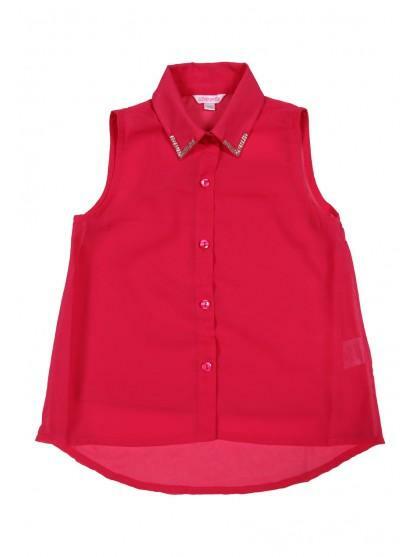 If your girl's social life is booming this season, then she will need this girls sequin collar blouse. 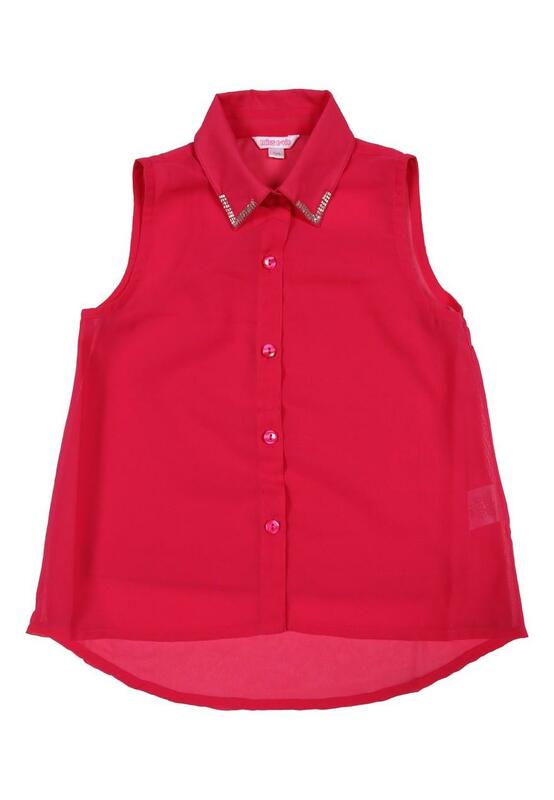 This double layered blouse features a button up front and sequins on the collar, which gives a touch of sparkle. Team with jeans or jeggings for a cool, casual party outfit.